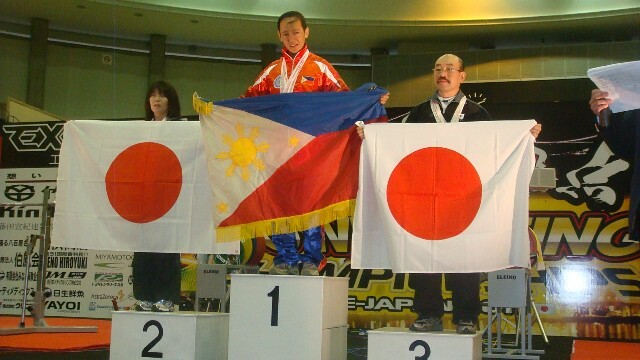 With the support of the Philippine Sports Commission, Philippine Olympic Committee, Dewfoam, SNI supplements and Yellow Cab, the Philippine Powerlifting team turned in a spectacular performance with 10 athletes taking home 21 gold medals aside from numerous silvers and bronzes in the 2011 Asian Powerlifting Championships held in Kobe, Japan recently. 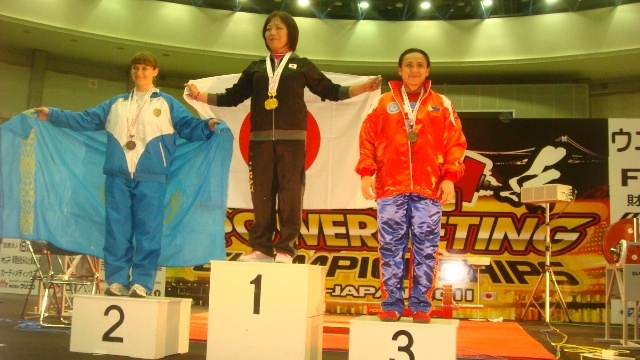 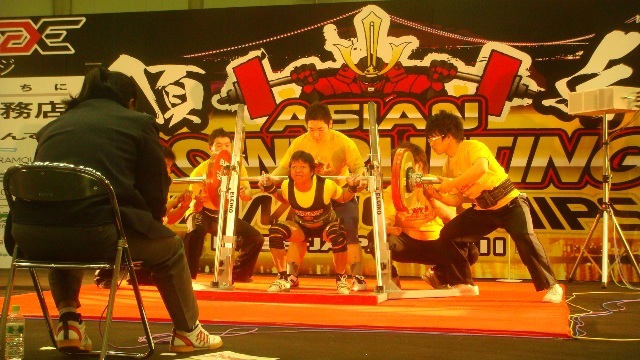 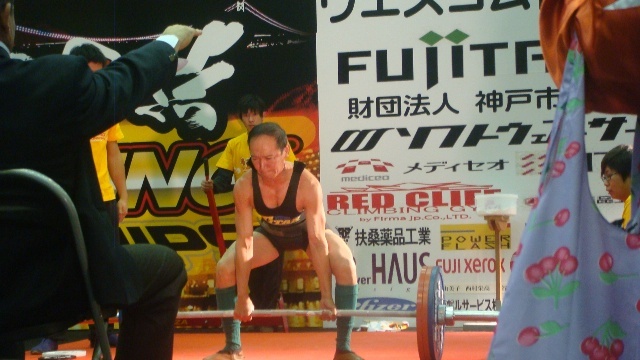 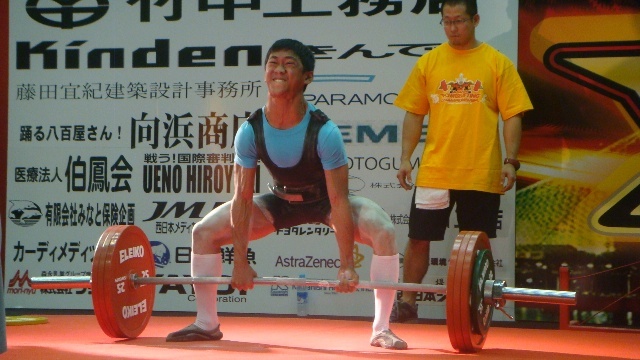 The 2011 Asian Powerlifting Championships had over 300 lifters participating. 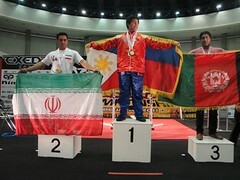 Countries represented were Iran, Japan, Kazahkstan, Chinese-Taipei, Turmenistan, Indonesia, India, Uzbekistan, Oman, Korea,Mongolia, Hong Kong, Afghanistan, Iraq, UAE, Sri Lanka and the Philippines. 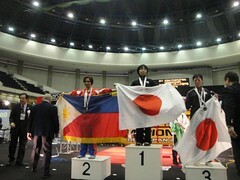 Regie Ramirez swept all 4 gold medals in his weight class, Anita Koykka also got 4 gold medals plus a Best Lifter award, Betina Bordeos pocketed 3 gold medals, Tony Taguibao defended his 3 gold medals, while Nina Oca snatched 2 additional gold medals for a great start for the Philippines on the first day of the 2011 Asian Powerlifting Championships . 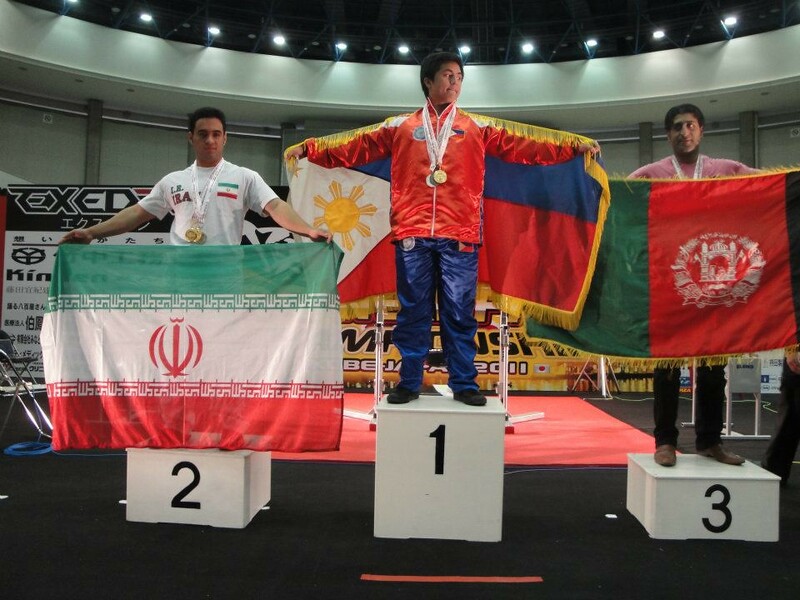 Ramirez won gold medals in the Squat, BenchPress, Deadlift and Total with lifts of 165kg, 100kg, 195kg, and 460kg respectively in the 53kg class Sub-Junior category (18 years old & below)to share claim to the most gold medals for the country on opening day. 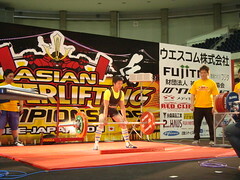 Koykka, lifting in the 52kg Master II category, intentionally lifted way below her normal capabilities to preserve strength for the tough Open category in 2 days. 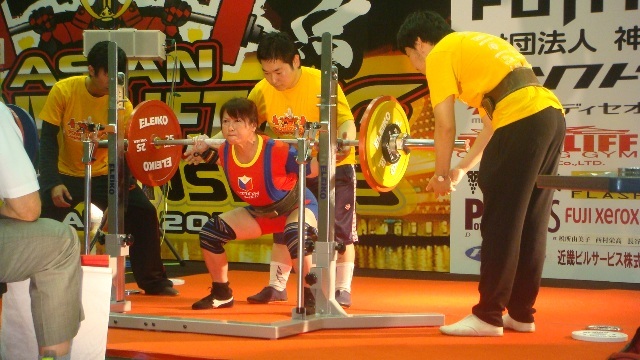 Although preserving strength, Koykka still swept the 4 Gold medals with a 135kg Squat, 155kg Deadlift, 80kg Bench Press, and 370kg Total to easily win the Women’s Master II Best Lifter award. 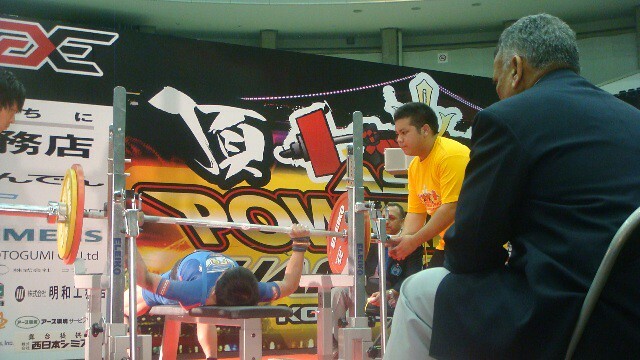 Teenagers Clark Cruz & Raymond Debuque added 5 more gold medals for the Philippine Powerlifting Team on the second day of the 2011 Asian Powerlifting Championships in Kobe, Japan. 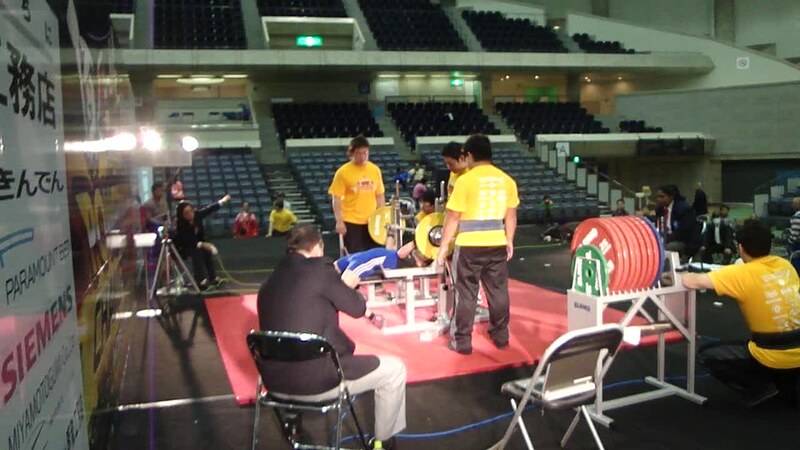 Debuque won gold medals in the Squat, Bench Press, Deadlift and Total with lifts of 320kg, 170kg, 240kg, and 730kg respectively in the 120+kg class Sub-Junior category (18 years old & below) to claim the most gold medals for the country on the 2nd day. 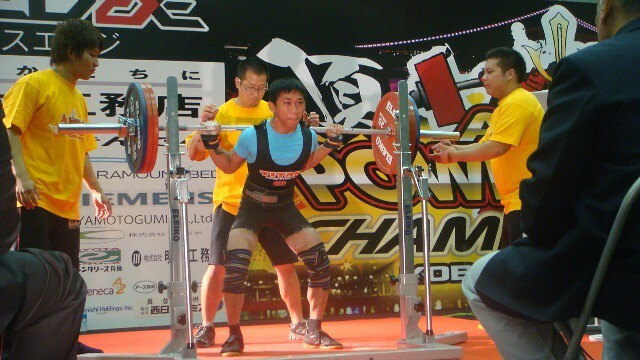 Cruz, in the meantime grabbed the Deadlift gold medal in the 93kg class Sub-Junior category with a lift of 235kg. 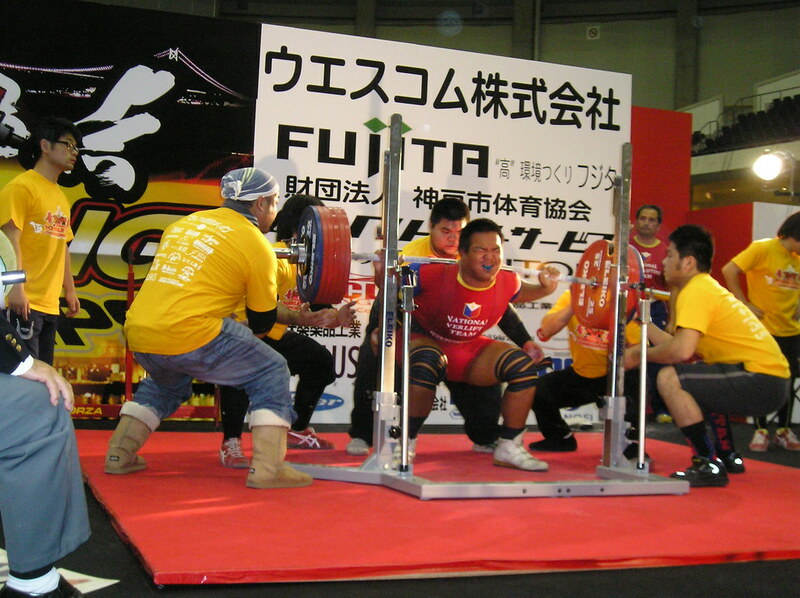 He also won silvers in theSquat (255kg) & Total (617.5kg) to go with his bronze medal in the BenchPress (127.5kg). 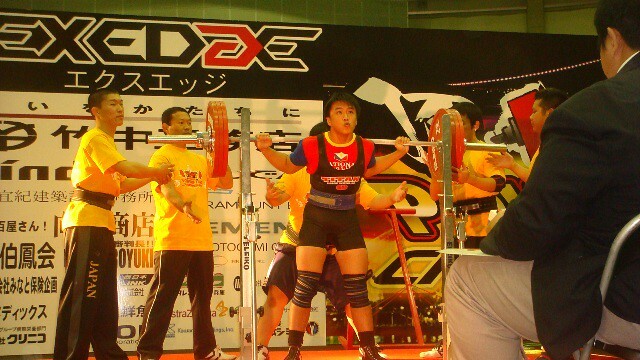 The 3rd Sub-Junior entry on Day 2, John Castelar, took 5th place in the 74kg class. 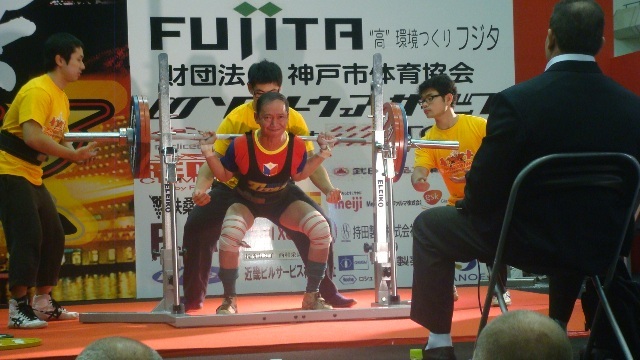 Castelar, however, managed to get a new Philippine Sub-Junior record in the 74kg class with a Bench Press of 125kg. 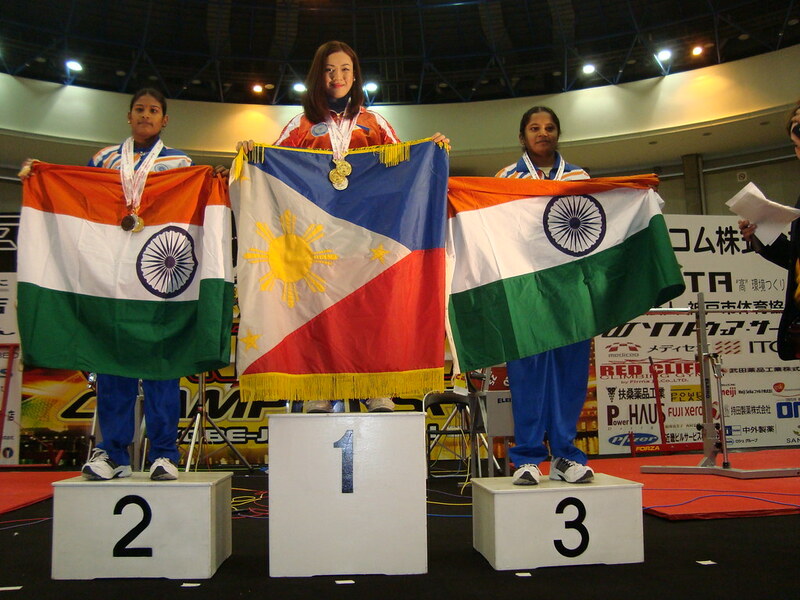 The Open category started on this day with National Champions Leslie Evangelista and Anita Koykka starting it off for the team collaring 3 bronze medals and 2 silvers. 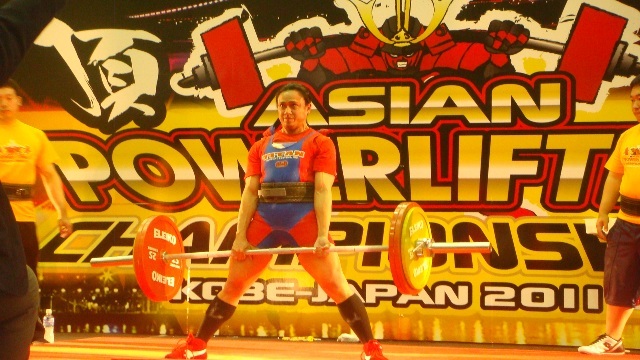 Leslie Evangelista continued the charge of the Philippine team with a bench press bronze (62.5kg) and deadlift silver (135kg) in the 47kg Open class. 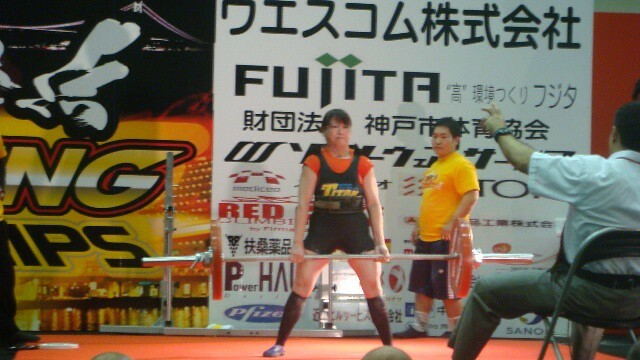 Anita Koykka, tired from competing in the Masters competition 2 days earlier, battled it out in the 52kg Open class. 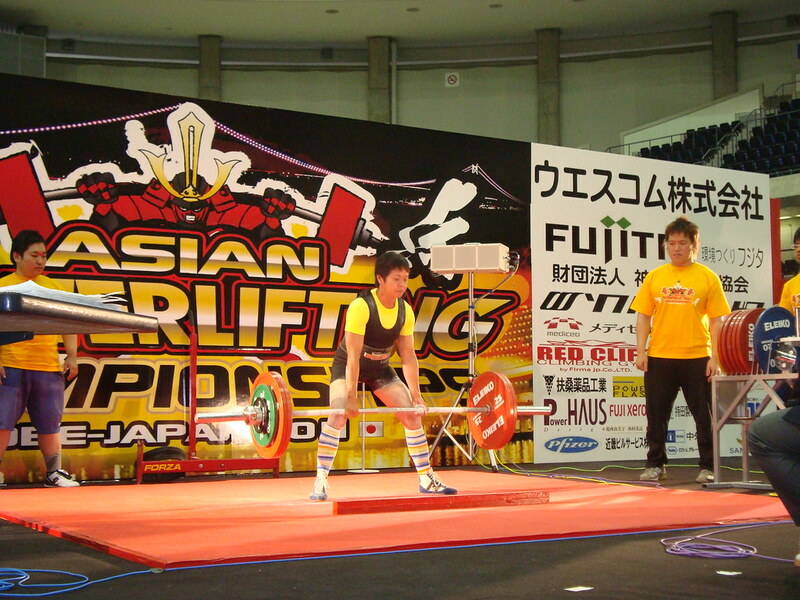 Koykka still managed to squat 145kg for a bronze, deadlift 150kg for a silver, and total 377.5kg for another bronze. Together with her 4 Gold medals on Day 1, Koykka easily emerged as the most outstanding performer for the Philippines. 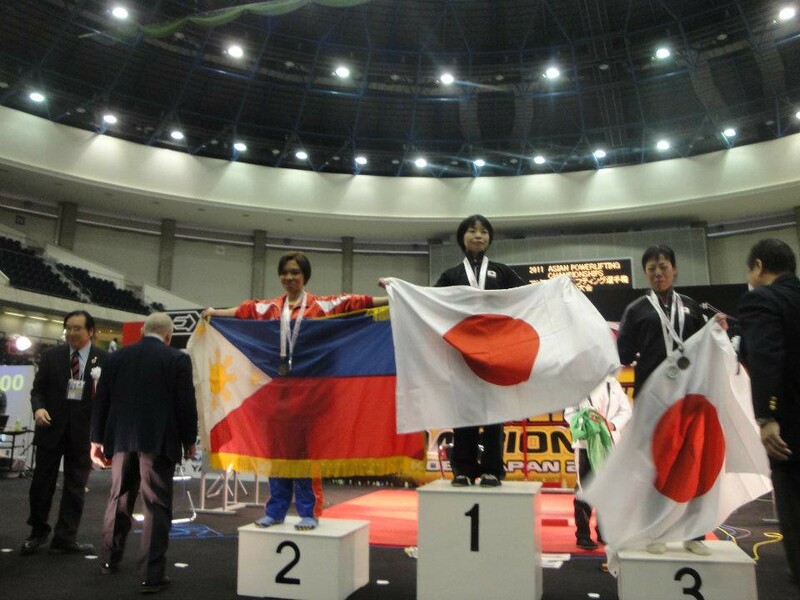 Michelle Cruz, competing in the 72kg Open class, finished the Philippine campaign with a bronze medal in the Bench Press with a lift of 102.5kg. 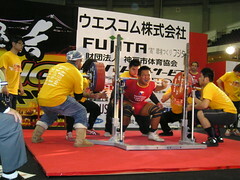 Head of Delegation was Tony Taguibao while the coaches of the team were Eddie Torres, Tony Koykka, and Allan Paje.